JAMIE RAHN is Captain NBC… Kind of. Really, Jamie Rahn is so much more. Wait until you hear this interview and you can see that he’s living his life like a work of art. After a dismal debut season so many years ago where he fell on the quad steps, Jamie has come back stronger and stronger every year. 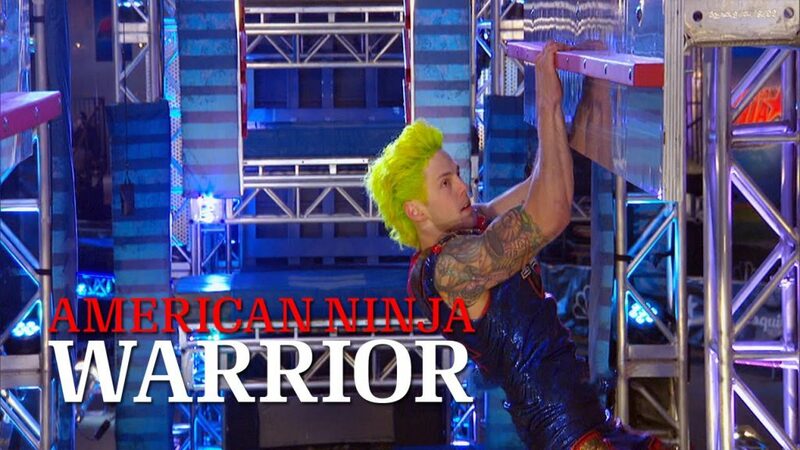 Jamie is often considered to be one of the guys who can do the whole American Ninja Warrior course, just like Drew Drechsel, Ian Dory or any of the other top guys. He is a ninja’s ninja and one of the legends of our sport. He is also a very caring ninja and very deeply integrated to the community. He’s very positive and as always cheering his other ninjas on! Jamie is an excellent coach and has helped a great many individuals succeed in reaching their goals in and out of his gym. We expect great things from Jamie and think he could also be one of our first winners for the Wolfpack Ninja Tour! We also want to congratulate Jamie for getting engaged! Just like his hair, Jamie’s personality is very colorful and if you’re not careful, you may get the wrong impression if you judge a book by its cover… Jamie, we salute you, brother!